If you’ve ever wanted that lush, beautiful lawn that is the envy of your neighbors, we’ll let you in on a landscaper’s secret. Overseeding. Can you overseed your lawn? Absolutely. Overseeding means spreading grass seed on top of an existing lawn. Over time, the grass on your lawn begins to die off and thin out. It’s a natural process. To combat bare spots, and to keep your lawn thick and lush, it is recommended to add new seed to reinvigorate it. 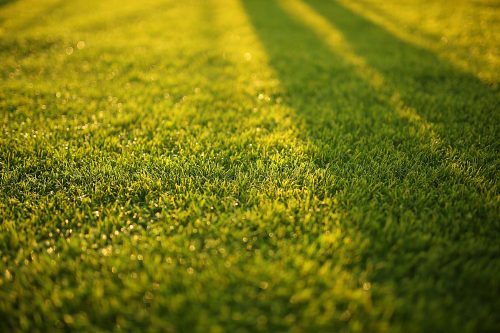 You may think you need to wait until your grass gets thin to spread new seed, but professional landscapers like Hambleton Lawn & Landscape know that overseeding should be done as part of your regular lawn maintenance plan, with the timing and frequency dependent on your location and the type of grass on your existing lawn. This will prevent your lawn from thinning in the first place. Grasses have their seasons, with cool-weather and warm-weather grasses being the norm. When grasses from one season die down and become dormant, the next-seasonal grass will take hold and flourish. Overseed with cool-weather grass in the fall, and warm-weather grass in the spring. When overseeding, you don’t just want to throw down grass seed. It will “take” better if you prepare your lawn for the new seed. First, mow your existing grass short (we recommend 2” or less, and lower for winter overseeding), and rake the ground to remove any grass clippings and debris. This will allow the new seed to both reach the soil and have access to water and sunlight. If your grass is particularly thick, you may need to dethatch or aerate the areas you are looking to overseed. Consider if you need to add fertilizer and select your grass seed type. Your local landscape company can give you recommendations on soil treatments and seed choices. You will want to pick different seed depending on whether you have sunny, shady, moist or high-traffic areas of the lawn. Once you have chosen your premium grass seed and laid down your fertilizer, use a broadcast or drop spreader to distribute the grass seed evenly over your lawn. For small lawns or spot treatments, use a hand spreader or just sprinkle the seed by hand. Work on a non-windy day for the best results. 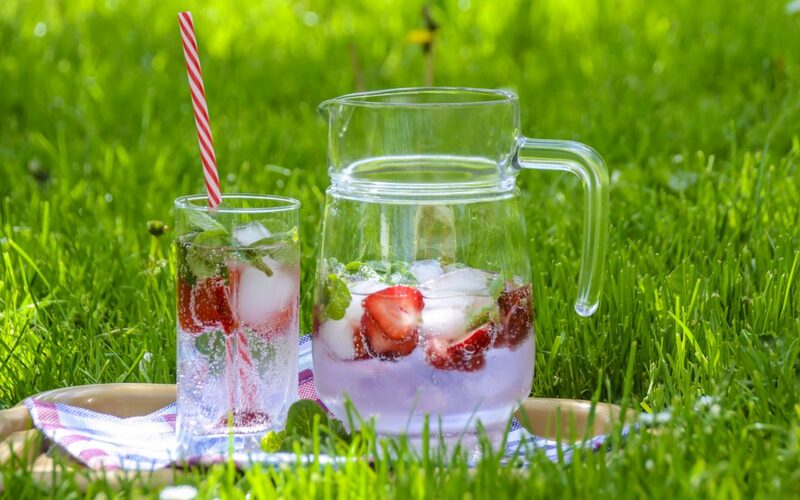 Water your newly seeded areas with a light watering at least two times a day for the 4-5 days. A lawn sprinkler or in-ground sprinkler system should do the trick. Young grass needs constant moisture to put down deep roots and flourish. Once your grass is looking its best, keep up your lawn’s appearance with regular maintenance. 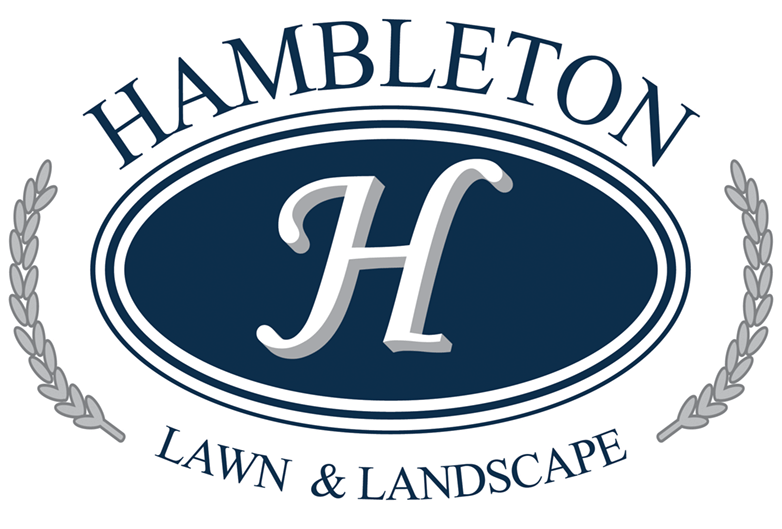 If you have questions about whether you can overseed your lawn, or wish to hire a landscape professional for aerating and overseeding, contact Hambleton Lawn & Landscape. We’re proud to serve homeowners throughout Northern Virginia.